Treachery in Tuscany ARCs Have Arrived! 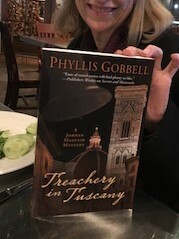 I’m showing off the advance reading copy of Treachery in Tuscany at dinner with Betty, Brenda, and Darlene, my fantastic college friends! Release date is May 2, 2018. 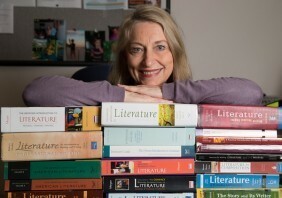 These links give information about pre-ordering at the publisher’s website and ordering the e-book. This entry was posted in Treachery in Tuscany. Bookmark the permalink.